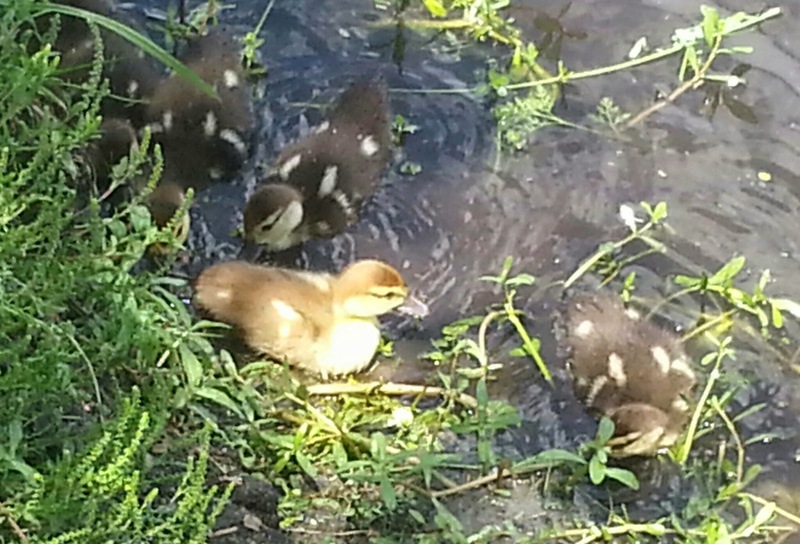 Look what I found while patrolling -- ducklings! They're so cute that I just had to stop to take pictures. Sometimes my job is rough so I try to find joy in the little things -- feeding turtles, watching the surf, a good cup of coffee. Ducklings are always a plus too. This is probably the last batch of the season too. Glad I got to see them.